Marigolds are pretty little annuals that bloom from spring until the first frosts. Marigold produces many flowers and is easy to care for. 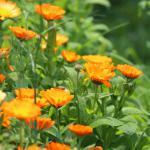 Moreover, marigold has further advantages since it repels many parasites. In spring, as early as mid-March in temperate climates or April in northerly regions. Sow the seeds directly where they are to grow. Choose a location that is well exposed to the sun but not scorching. Cover the seeds by sprinkling a thin layer of soil mix over them. Water regularly to ensure that the ground stays damp. Once the sprouts are well shaped, thin to keep the most vigorous ones every 9 to 12 inches (20 to 30 cm). In summer, it is always possible to plant marigolds purchased in a garden store, but it still is most common to sow them directly from seeds. After having sown the seeds, water regularly to ensure that the soil remains damp. Once seedlings have sprouted well, you may thin them to give breathing space to your young plants. This means removing those sprouts which are too weak and too crowded together. Just like the aster, ordinary soil mixed with a bit of soil mix is perfect. Avoid compact and heavy soils that would retain water instead of releasing it to the plant. 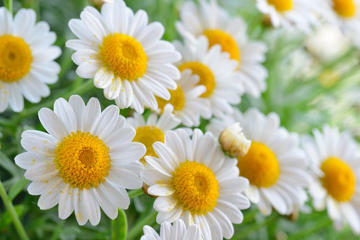 To nicely cover a surface, plant around 8 or 9 flowers to a square yard (1 m²). 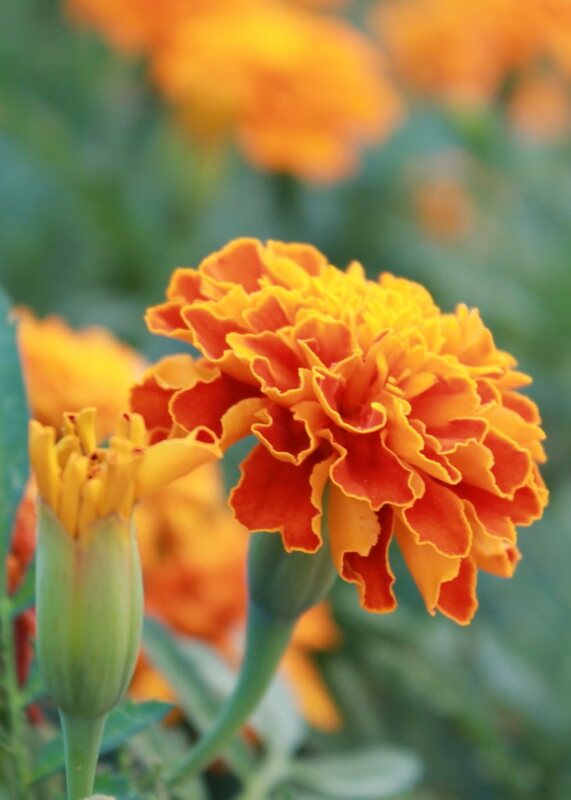 Very easy to grow, marigolds only need very little care. If you wish, deadheading is possible – snipping off wilted flowers – in order to spur appearance of new flowers, but new flowers would still bloom even if this isn’t done. Marigolds are sensitive to frost and will only grow back year after year in regions with mild winters. Spontaneous growth from seeds does occur regularly, and some plants that had died off in winter may grow again in spring. You can shake wilted flowers to spread seeds which will surely lead to renewed blooming the following year. A great plant for flower beds, path edges or rocky land, marigolds are spectacular from spring to fall thanks to their generous blooming which constantly renews itself. 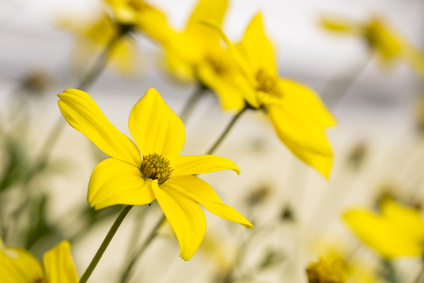 An easy annual, many diverse varieties and species make for superb blooms in shades of yellow and orange. Marigolds also tend to repel many insects that are considered pests and parasites in the garden and vegetable patch, for example aphids. It is common practice to sow several marigold seeds at the heart of the vegetable patch to protect vegetables against parasites. Marigolds are also plants that combine many therapeutic properties: anti-inflammatory, anti-edema, anti-oxidant, analgesic and hydrating. Their essential oil is also used for its anti-bacterial properties. 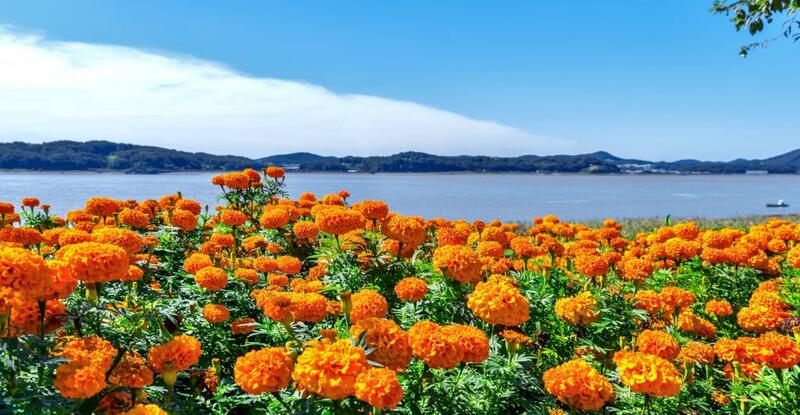 Finally, to be remembered is that marigolds are among the easiest flowers to grow, but they nonetheless are among those flowers bearing most from spring to fall. 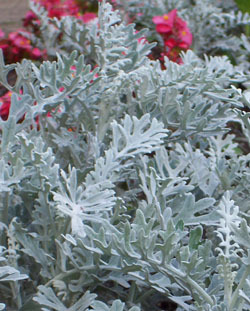 Marigolds fear strong summer heat waves that often lead to the appearance of powdery mildew. If you are in a region where summer is scorching, it is better to favor partly shaded areas.